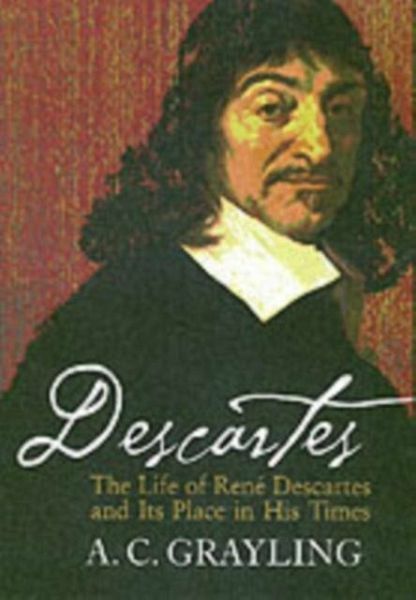 Rene Descartes is best remembered today for writing 'I think, therefore I am', but his main contribution to the history of ideas was his effort to construct a philosophy that would be sympathetic to the new sciences that emerged in the seventeenth century. To a great extent he was the midwife to the Scientific Revolution and a significant contributor to its key concepts. In four major publications, he fashioned a philosophical system that accommodated the needs of these new sciences and thereby earned the unrelenting hostility of both Catholic and Calvinist theologians, who relied on the scholastic philosophy that Descartes hoped to replace. His contemporaries claimed that his proofs of God's existence in the Meditations were so unsuccessful that he must have been a cryptic atheist and that his discussion of skepticism served merely to fan the flames of libertinism. This is the first biography in English that addresses the full range of Descartes' interest in theology, philosophy and the sciences and that traces his intellectual development through his entire career. Desmond Clarke is Professor of Philosophy at University College Cork. He received a D.Litt from th National University of Ireland, was Jean Monnet Fellow at the European Univeristy Institute in Florence, and has been elected to the Royal Irish Academy. He is the author of a number of books on Descartes and the seventeenth century, most recently Descartes' Theory of Mind. 1. A lawyer's education; 2. In search of a career (1612-22); 3. Magic and mechanism: Paris (1622-8); 4. A fabulous world (1629-33); 5. The scientific essays and the Discourse on Method (1633-7); 6. Retreat and defence (1637-9); 7. Metaphysics in a hornet's nest (1639-42); 8. The French liar's monkey and the Utrecht crisis; 9. Descartes and Princess Elizabeth; 10. The Principles of Philosophy (1644); 11. The quarrel and final rift with Regius; 12. Once more into battle: the Leiden theologians (1647); 13. Thoughts of retirement; 14. Death in Sweden; Appendix 1. Descartes' principal works; Appendix 2. Places where Descartes lived; Bibliography.1. A lawyers education; 2. In search of a career (16121622); 3. Magic and mechanism: Paris 16221628; 4. A fabulous world (162933); 5. The scientific essays and the Discourse on Method (163337); 6. Retreat and defence (163739); 7. Metaphysics in a hornets nest (163942); 8. The French liars monkey and the Utrecht crisis; 9. Descartes and Princess Elizabeth; 10. The Principles of Philosophy (1644); 11. The quarrel and final rift with Regius; 12. Once more into battle: the Leiden theologians (1647); 13. Thoughts of retirement; 14. Death in Sweden; Appendix 1: Descartes principal works; Appendix 2: Places where Descartes lived; Bibliography.